Do You Know The Homeowner’s Checklist For Plumbing In Arlington? 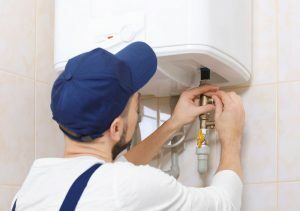 Home » Do You Know The Homeowner’s Checklist For Plumbing In Arlington? When you own a home, you need to do all that you can to ensure each element of the household functions beautifully. This includes plumbing, which requires finding a quality plumbing company in Arlington so that you can have access to water and wastewater removal as needed. If you are going to be buying a new home, taking the time to follow along with a plumbing checklist will help you to ensure all of your bases are covered. These are some of the things that you should be looking for when you take the initial tour of any home that you are interested in buying. Flush Every Toilet – Every toilet in the home should be flushed. This will tell you whether or not any unit has a weak flush, if there are any odd noises or if the toilet seems to be running for too long. Pipe Sizing – Anyone can tell you that being in a household with poor water pressure is a bummer. You should inspect the size of the water pipes in the potential home while also checking out the distance from the water source of the home and the faucets. Shower Check – After looking at the piping sizes, you should turn each of the fauces on and off. This where it is important to get a good gauge of what your water pressure will be by seeing how each shower flows. Water Heater Inspection – You never want to have a water heater that has seen better days. Have the realtor show you the water heater so you can check for any sort of buildup or corrosion. You should also be giving the information on when the last service was. Check Below – Crawl spaces and basements can sometimes be some of the most overlooked areas during a home tour. Spend a bit of time looking at these areas to make sure that there are no leaky pipes, water damage, or repairs to the fixtures or plumbing that seems as though it was not completed by the professionals. When you know that you are potentially interested in buying a home, this is a good homeowner checklist for plumbing to get you started. Trident Plumbing and Drain Cleaning will also be able to come in to help you with a detailed inspection from a professional perspective to give you added peace of mind. If you are a homeowner in need of dependable plumbing in Arlington, give us a call at Trident Plumbing and Drain Cleaning at (425) 321-6043. We will be happy to provide you with a consultation and cost estimate!